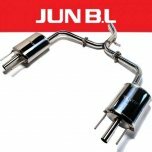 ITEM: E.V.C Twin Rear Section Muffler (JBLH-24HGFE) for 2011-2015 Hyundai 5G Grandeur HG / Azera 2.4.. 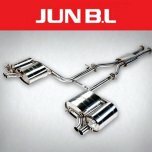 ITEM: Twin Rear Section Muffler (JBLH-24HGFR) for 2011-2015 Hyundai 5G Grandeur HG / Azera 2.4GDi / .. 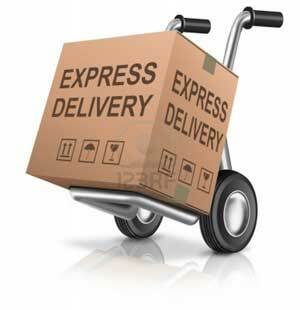 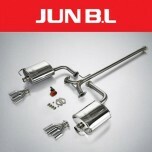 ITEM: EVC Twin Rear Section Muffler (JBLH-20YFNE) for 2009-2012 Hyundai YF Sonata / i45 2.0MPI / 2.4.. 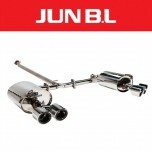 ITEM: Twin Rear Section Muffler (JBLH-20YFNR) for 2009-2012 Hyundai YF Sonata / i45 2.0MPI / 2.4GDi .. 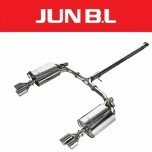 ITEM: Twin Rear Section Muffler (JBL3D-20324) for 2009-2013 Hyundai YF Sonata / i45 MANUFACTURER&nb.. 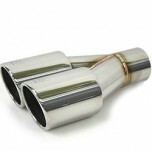 ITEM: EVC Twin Rear Section Muffler (JBLH-20YFTE) for 2009-2012 Hyundai YF Sonata / i45 T-GDi MANUF.. 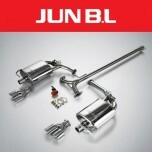 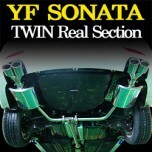 ITEM: Twin Rear Section Muffler (JBLH - 20YFTR) for 2009-2012 Hyundai YF Sonata / i45 T-GDi MANUFAC.. 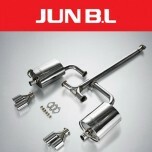 ITEM: EVC Twin Rear Section Muffler (JBLK-20NK5TE) for 2015+ KIA All New K5 JF T-GDi MANUFACTURER&n.. ITEM: Titanium Dual Cut Muffler Cutter 89.1 pi JBL5T-D009 MANUFACTURER : JUN,B.L ORIGIN .. 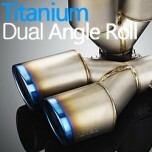 ITEM: Titanium Dual Cut Muffler Cutter 89.1 pi JBL5T-D015 MANUFACTURER : JUN,B.L ORIGIN .. 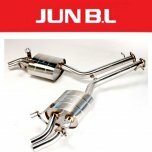 ITEM: Twin Rear Section Muffler (JBLC-K15V400TR) for 2017-2018 Chevrolet All New Malibu 1.5T M.. 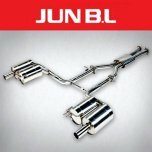 ITEM: E.V.C GT Cat-back System (JBLH-33IKFGB) for 2017+ Genesis G70 2.0 T-GDI MANUFACTU.. 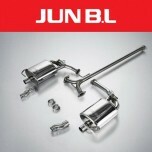 ITEM: E.V.C Performance Cat-back System (JBLH-33IKFFEB) for 2017+ Genesis G70 2.0 T-GDI MANUFACTURE.. 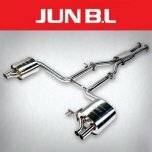 ITEM: E.V.C Racing Cat-back System (JBLH-33IKFRB) for 2017+ Genesis G70 2.0 T-GDI MANUF.. 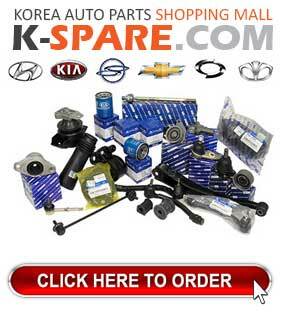 ITEM: E.V.C Sports Cat-back System (JBLH-33IKFSE) for 2017+ Genesis G70 2.0 T-GDI MANUF.. 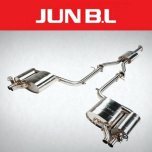 ITEM: E.V.C GT Version Cat-back System (JBLH-33IKVGB) for 2017+ Genesis G70 3.3 T-GDI MANUFACTURER&.. 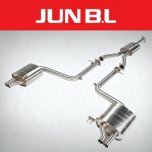 ITEM: E.V.C Performance Cat-back System (JBLH-33IKVER) for 2017+ Genesis G70 3.3 T-GDI MANUFACTURER.. 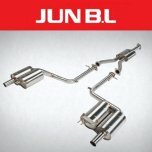 ITEM: E.V.C Racing Cat-back System (JBLH-33IKVRB) for 2017+ Genesis G70 3.3 T-GDI MANUFACTURER ..